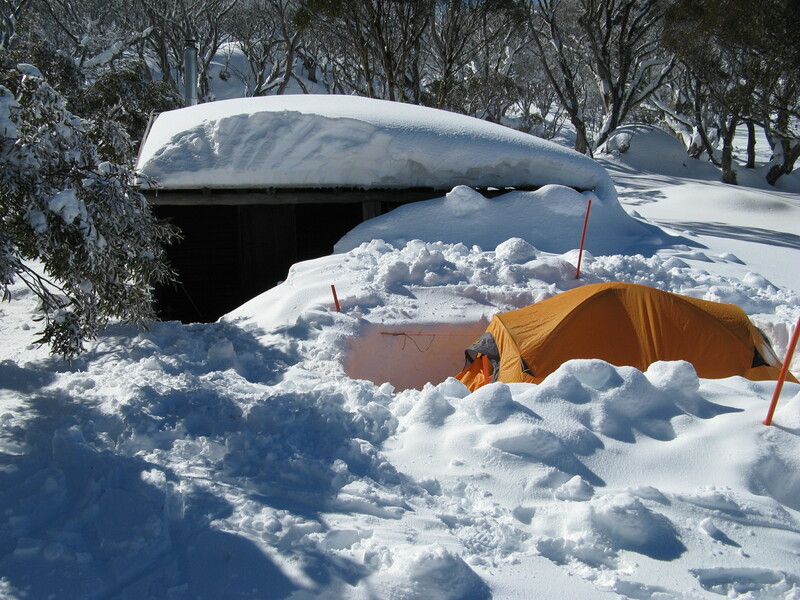 Some people are intending to set up camp for the weekend above snow line near Roper Lookout, which is a 30 – 40 minute ski from Falls Creek resort. We won’t know the exact location until we scope the conditions out the week before the festival. You would be welcome to join us. You could also post below in the COMMENT section, saying when you’re heading in, in case you want to find some buddies to share the trip (and potentially the drive) with. Maybe something to make the place festive! Like some lanterns for the trees? Be creative. If you look across the valley from the Nordic Centre at Windy Corner, you will see a dark rocky point on the other side. This is Roper Lookout. To get there you follow the Bogong High Plains road past the gate, and the Nordic bowl, and you veer left (staying on the main road) as you get close to Rocky Valley Dam. Stay on the BHP road, cross the dam wall, and then turn left on the other side where there is a prominent info display and small shelter. Hopefully there will be a skin track but basically you just need to traverse, always staying high rather than dropping into the valley. Allow up to 40 minutes for the trip. Previous Great t shirts. Great cause.